This speech was delivered by Pax Christi International Co-President Marie Dennis at the Moral Action for Climate Justice Rally with Pope Francis on Thursday, 24 September 2015. Pope Francis, by his integrity, honesty and simplicity, has taken this city by storm. He is personally engaging and instinctively inclusive. But even as he exudes warmth and joy, Pope Francis is using the global stage upon which he now stands to amplify the message we in the global North have been hearing from our friends in the global South for decades. With particular vigor, he has leveled harsh words at those who manage or benefit from the systems that perpetuate poverty; wreak havoc on the planet; and wage war. Francis’ concern for impoverished people and for the Earth are well known, but his words about deadly violence and war are less frequently reported. War, he says, is the suicide of humanity and he repeatedly links war and preparations for war to poverty, to climate change, to ecological devastation. 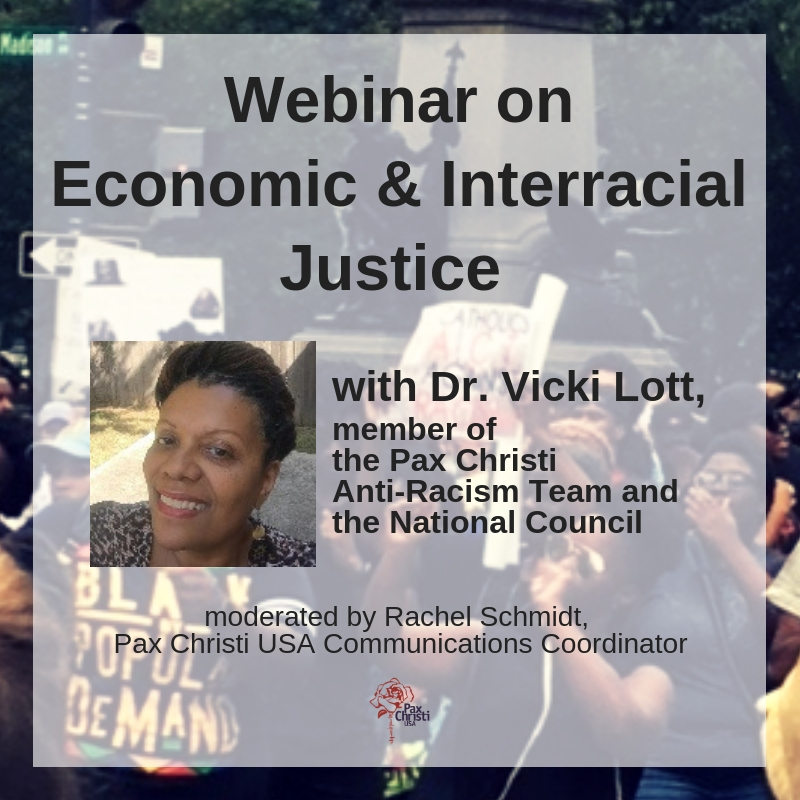 Pax Christi believes that for much too long, we in the United States have accepted a paradigm that justifies enormous loss of human life and widespread destruction of the planet in pursuit of an elusive peace and false security. The consequences of this framework have been front and center in the lives of millions of people around the world and too many, especially people of color, in our own communities. Pope Francis has called religious leaders, political decision-makers and ordinary people to hear the cry of the poor; pay attention to the cry of the earth; and have the courage to make peace. We would do well to follow his advice. Beautifully captured. Thanks for bringing the Pax Christi voice to that gathering outside the Capitol.